your heart and tune in to infinite mind ! Our Healing Renewal program is fully catered and accommodated. So book early to avoid missing this extraordinary special! heal and refocus your life’s purpose. You might be emotionally hurting, or needing to refocus and re-assess your priorities. Or maybe you have an illness and need ‘time out’ to help your healing to happen. 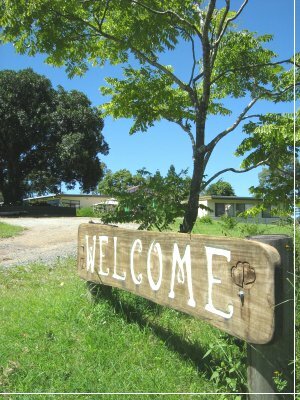 Whatever the reason, Heartland Retreat, just two hours north of Brisbane, is sure to replenish your love of life ! Are you wanting to undertake 5 days of private inner work? Would you like to minimise mild depression naturally? Do you lack energy and easily fatigue? Do you never seem to have enough peace to achieve the life you seek? Would you like to improve your tranquility and harmony? In setting new goals do you find yourself frustrated by patterns of self-sabotage? Would you simply like to refocus and refresh yourself? Do you find yourself repeating negative patterns of behaviour that you want to stop? Do you have emotional addictions or habits that you are addicted to – that you just can’t seem to kick? Do you suffer from some other debilitating illness? Our Healing Renewals are 5 days of spiritual wholeness and refocus. Guests are entirely free to take part in (or decline) any activity. We strive to ensure our entire program is gentle, non-threatening and is never intrusive in any way. During these five days you can reconnect more deeply with the true “You”. Jan, who has been before, came in February 2017…..
Another fantastic retreat! Thank you so much! There was palpable good energy flowing throughout. I was honoured to have met the wonderful people attending at the same time. Undoubtedly, some will become firm friends into the future. Our trip to see and feed the gentle dolphins at Tin Can Bay was a delightful treat and we had fun in the park on the way back to connect with our inner child. Trudy’s expert tuition and guidance during our art and vision board exercises in the afternoons worked to create a sense of being in the moment. Tai Chi, Yoga, massages, Reiki, swimming, walks in the beautiful gardens…words hardly give justice to the peacefulness and gratitude I feel when I am at Heartland. This time, I have been many times before, the emphasis on self sabotage really hit home. I realised that there were issues I had not addressed fully. The talks Les gave to us, peppered with plenty of actual examples, provided us with the tools to take away and generate techniques to avoid the self sabotage pitfalls, move on and live a fuller life. We are the only ones who can change our lives for the better. Thank you Les, Trudy and your staff for your kindness, commitment, openness, and for the wonderful, fresh meals we were provided with, the tears that came at times, the fun and laughter. A complete and wholesome experience that I would recommend for everyone. Many retreats offer you psychological help dressed up in many different forms. 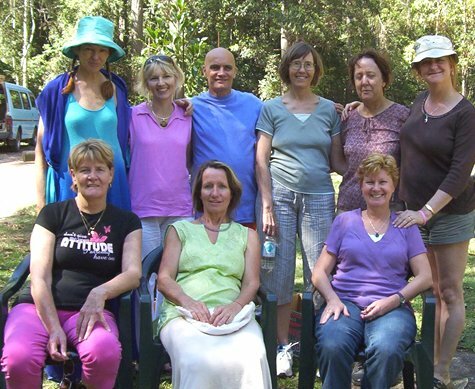 Being a spiritually-based retreat we can offer you an alternative … something very often of immense value. It’s understanding of your human condition – and three very simple answers that can radically help you (as they have already helped thousands of others). 1. The first is our unique perspective change process. This very easy-to-learn practice allows you to change your core attitudes toward the triggers that cause your distress. 2. The second is our extensive meditation program which offers you seven different meditative healing methods. Meditation is now a scientifically proven effective approach toward regaining emotional health. At Heartland we give you the science and the gentle methods themselves that can smoothly help to return you to emotional health and a happier state of living. Meditation is now proven to extensively support neuro-plasticity change within your brain; and is recognized as a valuable stand-alone pathway to attitudinal/mental/emotional change. Put simply, you can confidently meditate yourself out of many of your traumas! 3. The third is our very popular creativity process in which we encourage you to express the Divine Lovingness that lives within you! We help you to gently release the shackles that stop you expressing yourself … and in the process we show you how to paint, sculpt, collage and lovingly express the true, beautiful you! These three practical, non-invasive processes can together help you to free yourself and live the rich, fulfilled life you seek! This fully individualized program offers you the opportunity to combat illness and emotional fears, work with your inner child, connect to your wholeness/wellbeing or just de-stress, re-focus and replenish yourself. The program will give you the tools to overcome your limiting condition and patterns and take back your life with zest. a huge range of some 45 herbal teas, organic coffee and famous Tulsi teas, too. Collette came in April 2017….. I just wanted to send you a heartfelt thanks for such a wonderful 5 days. You are such gorgeous and generous people and Heartlands is just divine. Thank you for everything you do both spoken and unspoken….I look forward to seeing you again in the near future. In the meantime I will happily wade through your words of wisdom Les in your lovely books. After coming in March 2013, Anna-Maree wrote….. I cannot thank you enough for last week. We are all so blessed to have had you create Heartland. Thank you. Namaste blessed ones. Love, light and blessings always. I had to let you know how much it meant to me to be there. My November visit was heartbreaking at times with many traumatic memories brought to the surface. The loneliness went after the soul-searching, talks with Les, wonderful arty bits with Trudi and group discussions. The New Year retreat was something else! Again, it was special to be able to meet lovely, open-hearted people. The New Year retreat was so wonderful I am still on a high! It has really set me up for 2013 and the changes I will be facing. Thank you both so much for your kindness and for giving me a solid spiritual base to work with. I will definitely come again to Heartland to learn and keep on learning. Remedial, deep tissue, kahuna and relaxation massages and Reflexology. Les Dyer is also available for private spiritual consults. These services incur a surcharge, dependent on practitioner costs and availabilities. Bookings may be made at the commencement of your stay. valued at $2000, these 5 Day packages are value plus at just $895 (until 30th September 2019) This is surely the best value anywhere in Australia. You deserve a special 5 day break – and this is your finest opportunity! Just 20% deposit secures your booking, with the balance not payable until you arrive. You can pay balances by credit and debit cards, personal cheques, cash or money orders. Cancellations over 21 days are refundable; over 10 days are transferable to another date. Attendance is optional and free. We offer you the space to refocus or heal – with non-intrusive support during your program. Heartfelt Thanks to Trudi, Les and staff of Heartland Spiritual Retreat. I attended a five day program in April 2016 and while I had goals of experiencing new meditation techniques and enjoying alkaline foods, I was not prepared nor expecting a life defining week. The experience has left me with new understandings and challenges for my own personal development which I never thought possible after living on this planet for 63 years. I can now look forward with greater understanding of “self” and new options for positive growth. Trudi, Les and staff are truly amazing, offering a wealth of knowledge, devotion to the course participant’s learning, enjoyment and comfort, and fresh, tasty, nourishing food. (Thanks Babita!) Les is a most gifted person in facilitating spiritual growth. The people whom I was on the course with provided an unexpected bonus in that they all had a loving and caring nature as well as a wealth of diverse knowledge on living which was freely shared. New found genuine friends come to mind. A most wonderful & fulfilling time made possible by Trudi, Les, Heartland staff and fellow participants. A diverse and fun experience that has challenged me to a brighter and happier future. The World is definitely a better place for Heartland Spiritual Retreat and the people who share time there. We can also offer you authentic spiritual guidance to ensure your stay is as productive as possible. Healing comes from within ourselves. It isn’t separate from us. Our health (which includes our physical, emotional, mental and spiritual wellbeing) is almost entirely up to us – we are powerful spiritual beings enjoying a physical existence. Our standard of physical health can be seen as an indicator of our emotional and mental health as our bodies are truly barometers of our whole being. Our program helps you to connect to the Power Within and own your greatness and power to heal. Through group sessions, meditations, visualisations, creative expression, spiritually guided healing sessions and individual transformative work – all optional, free inclusions – you will have the opportunity to access vast reservoirs of healing energy. Our kitchen offers the freshest and healthiest gluten-free meals. Meals are temptingly delicious and organic wherever possible. Special dairy free diets are available during this program. Enjoy the country hospitality of Heartland Retreat! Rest, Relaxation, Reflection and Renewal all help to honour the real you, clear past issues that are holding you back, refocus on your future, resolve the past, release stress and repair your body, your feelings and your thoughts. You will enjoy your own private air conditioned room, in one of our three cute cottages with shared bathroom facilities, with our super comfortable king single or double bed ensembles. Windows look out at the beautiful gardens and over towards our 80 acre wildlife sanctuary. When not tasting our fine food, you can enjoy browsing our 4,500 volume spiritual and healing library, relaxing with a massage, having a professional Therapy session, relaxing in the gardens, visiting our donkey sanctuary or taking part in one of our regular spiritual healing or meditation groups. 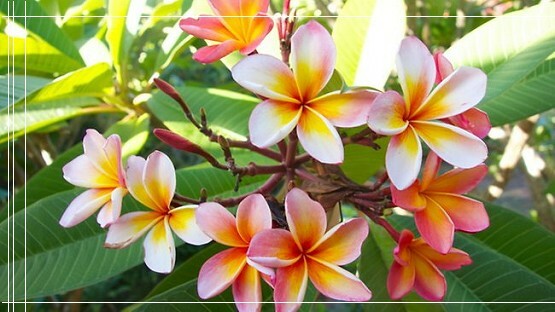 Regain your zest for life! Here is a ‘group card’ given us at the end of one of our September 5 – Day retreats…..
Thankyou Les and Trudi and all the staff. I came to Heartland anxious but without expectation and I leave with more insights than I ever gained before along my spiritual path. What can I say? I know I am Love!!! Love! Love! All you need is Love!!! Beautiful, wonderful, tranquil and so very loving, caring and sharing has been my experience of your magnificent retreat, Love and Gratitude. 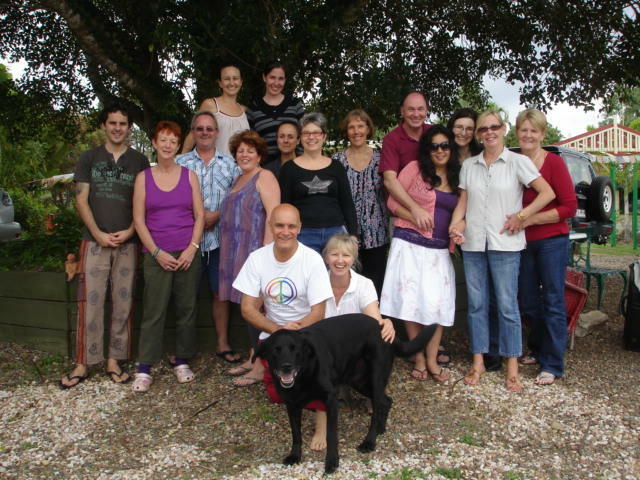 Dear Les and Trudi, thankyou for providing such a wonderful environment – physical and spiritual . Thankyou for the answers to the questions that have plagued me. Thankyou for the encouragement to be simply me for the sake of being me. Bless you both and all the team! Thankyou for opening our hearts with a Divine Love that is so tangible at Heartland. Namaste! To all the wonderful staff at Heartland, I have just one question: Did I have a good time? Yes!! Thankyou so much for all the wonderful opportunities for learning, spiritual growth, fun, friendship, FUN, FUN, laughs, lots of hugs and love! Absolutely magnificent – thankyou, thankyou, thankyou! I would love to thankyou for so much more that I have learnt than I ever expected. Fantastic. Thanks, thanks so much. Thankyou! Heartland is a place where love finds a crack in our stone and then, like a tree, just grows and grows and grows and grows and grows…..
Thankyou very, very much for a magic, magic week. You will enjoy a Health Retreat that’s also a Self-Empowerment Retreat and a Spiritual Healing Retreat. You’ll benefit from the advantages of three retreats in one! What to expect during your 5 day stay at Heartland. We recommend that you plan your arrival to be between 9.00 am and 11.00 am. The 5 Day Healing Renewal commences with a tasty vegetarian lunch at 1 pm on Monday. Today is the start of your own healing. You may be coming to Heartland for some much-needed “time out” and that’s perfect for you. Or you may be healing from an illness, depression or perhaps you have lost your sense of purpose. Heartland will offer to assist you in any way we can. On Monday you will learn why meditation is important for you – even those who practice meditation will still enjoy the first guided meditation session. There will be a brief group session in the afternoon, just to connect the group energy. We offer lots of different things during the week and you can choose what you would like to attend or you may like to enjoy a swim or to read a book. We don’t mind. Learn the simple art of Tai Chi with Darren in the Temple and learn how to increase your own body “chi” before enjoying a yummy breakfast with our own Heartland free range eggs (and the birds really are free!) and delicious fruits of the season. We then begin our day learning the importance of “mantras”. You do not have to have a great voice to enjoy mantras – and the science behind mantras is all explained by Les during this morning session. It is one not to be missed! Our ancestors knew way back then how important it was to learn how to focus the mind and find inner peace. Sharing our morning mantras will allow you to connect to that part of you. Once we are in the “flow” of Heartland, we will enjoy another delicious meal together, Les will give a talk and Trudi will share some art with you. Again, you do NOT have to be an artist, or be “creative” at all!! In this exercise you will enjoy a step by step art class which will bring out the inner creator in you! It really is simple. By now we’re feeling totally relaxed and fully at home! We have connected to our peace and we are finding our joy! We’ve read a little, meditated as a group, probably had a private massage or another treatment, done some great therapy work on clearing our emotional or mental blocks – and enjoyed some of the freshest meals ever! We’re ready for some more creativity, maybe undertake a healthy cooking lesson, or to listen to how we can change our perspectives, maybe go and feed the donkeys Click HERE for “Heartland’s Donkey Sanctuary” or simply have a swim or enjoy the ambiance of Heartland. (And we will learn that Les is usually spot-on in connecting to the dolphins – which we look forward to visiting tomorrow (weather permitting). After a wonderful morning at Tin Can Bay (if it isn’t raining), we return to a scrumptious morning tea and the day unfolds by enjoying more of the Heartland programme. It may be time for another group session, maybe another massage or healing before a deeply enriching meditation. We may well drive to the top of the mountain to watch the sunset before returning for another delicious meal and then some time in the sacred, spiritual space of the Inner Sanctum. The only important thing is to continue to heal our body, mind, emotions and soul. Our final day of sharing! We have learnt some wonderful tools to help us in our lives, we have begun to connect to our higher selves, we have perhaps found our passion and purpose, we have reconnected with our hearts, we are relaxed and enjoying ourselves during our final time together. We may enjoy chakradance, we may have a drumming session, we may meditate to the sounds of the crystal bowls…. but no matter what we do this morning it will be a coming together of ourselves and our lives. We have learnt that we truly are more than we ever thought!!! We are able to create a new life for ourselves! And then after a final yummy lunch it’s time to travel home … taking our new zest for wholeness, happiness and the celebration of life with us! We have used the words “we may do this… we may do that” simply because our 5 day Healing Renewals are never exactly the same (which is why many guests continue to come back time and time again). While our program is loosely structured (so we can all plan our day and meal times etc..), we try to be “flexible” for the different needs of the guests that come to Heartland. The talks that Les gives will be different depending on the needs of the group – and each group tends to have its own unique “energy” that really is guided by the Universe and has nothing to do with us as the facilitators. We simply observe that the Universe brings people together for certain reasons, often being for the healing of each person within the group. A Health Retreat with a difference! That’s Heartland. 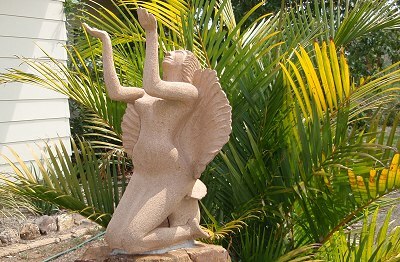 Based on widely recognized spiritual teachings, self-empowerment and self-realisation techniques, complementary healing modalities and the most modern dietary understandings, Heartland offers you the opportunity to experience a totally wholistic approach to your personal wellbeing – physically, dietary, emotionally, mentally and spiritually. Heartland is a unique Health Retreat with a (non religious) spiritual and soul-inspired difference! Since arriving back from your heavenly retreat, I have tried so many times, to so many friends, to explain what it was like….but no words can adequately describe the calmness, the peace, the love, the safety, the teachings, Oh…..and the glorious food, the art lessons, the meditations, the singing….the hugging and laughter….the beautiful, beautiful people. My sister and I chose Heartland because we knew we needed some time out. We were stuck in a place of grief, anger, guilt and hurt……..our spirits were fading. We couldn’t move forward…….we’d forgotten who we were….and that we were all connected. We knew it intellectually – but we just didn’t ‘get it’ so that we could live it. Immediately on arrival, we could feel the loving energy and knew we had come to the right place. Each day was a wonderful blessing, slowly, tentatively, we learnt how to connect to the spirit within and remember who we are. Les – you truly live & breathe your passion – to see all as God. Your laughter helped us remember the joy in life. We have learnt so much from listening to your talks. You have an innate sense of how to help us all with your stories. They resonate and therefore enlighten us all. Your meditations are miraculous. 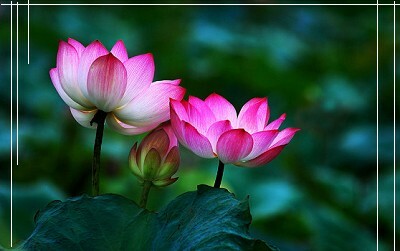 I have done many healing meditations before but none have ever had the effect that yours have. Every morning I do one of your meditations and I immediately recapture the energy of Heartland and it helps me to connect to all that I am. Trudi – your beingness was a joy to watch and your food was just amazing. Thank you for planting the seed of creativity within us once again. Nick, Kellie, Kim & Zoe – thank you for your boundless supply of beautiful smiles and nourishment. The singing bowls & drumming were so much fun even if we are still trying to find our ‘rhythm’. I now have my little bit of heaven I can return to every time I meditate, everytime I forget for an instant who I am – I return to Heartland. It is a memory that will always be with me – will always bring a smile to my face – and I hope to return home for another visit. name and address withheld as a courtesy. Popular Author of 10 self-empowerment books, hundreds of psychotherapeutic meditations, Spiritual Retreat Director & Interfaith Teacher for almost 40 years………at home in Heartland! personally presents one of his most self-empowering and transformational programs over Five days at Heartland! At Heartland we encourage you to r-e-l-a-x and allow the magical ambience of this special retreat to wrap its loving arms around you; and start to soothe away your cares and worries. At Heartland we offer programs to help you quit self-sabotage, anxiety, depression, a lack of self value and self confidence. We guide you gently through processes designed to support and help you move from ill-ness to well-ness, from pain to freedom, from shame or disappointment to a sense of self-worth and personal power. Our workshops have been tried and proven over many years. At Heartland we help you plan your personal journey forward. We encourage you to create a rich future for yourself – and we offer you tools that can empower you to achieve your personal best and to experience the life you were always meant to enjoy. Over 1,000 testimonials attest to the integrity and value of Heartland’s Re-Envisioning Program. At Heartland we support your need to revitalise yourself and regain your energy. We offer yoga, tai chi, qigong, sauna, pool, walks, energy meditations and private consults aimed to ensure you depart a far more vibrant Being than when you arrived! At Heartland we guide you back to the Wisdom of your Inner Self. We guide you to embrace the Divine Consciousness which is your birthright. Non religious and free of any dogma, we guide you home to the power, strength, love, passion, truth and Light of your own Inner Being. 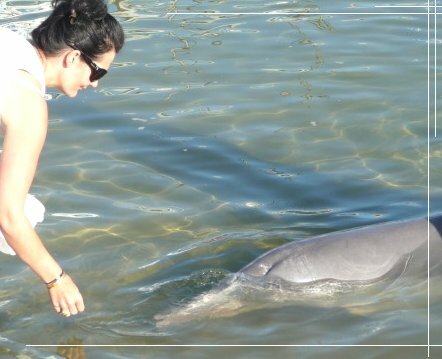 Inclusive of private fully prepared room, all meals, all programs, dolphin feeding trip. Deposit: $200, balance on arrival. Private consults & Massage extra. personally presents an extraordinary opportunity to move past all hurt, fear, shame, guilt and worry and embrace the truly Divine Within…….. over Four days this Easter at Heartland! This remarkable program was last offered by Les over 10 years ago! We first tune in to the Christ energy that pervades everything at this special time……and then we allow ourselves to accept the hostile and negative in our life……before embracing also the hurts and disappointments of the past. Next we allow ourselves to die to everything that has ever happened to us.This involves an entire night of extraordinary and transformative private Soul discovery and embrace……. Next we own our deeper truths, our inner strengths, our eternal Light and our boundless Love and we welcome them into our everyday existence as powerful partners for peace and fulfilment. Finally we allow ourselves to merge wholeheartedly with Spirit and prepare to continue our lives rich and abundant in partnership with the Divine. This life-changing program is equally suitable for Christians, Buddhists, Spirit devotees and atheists. Inclusive of private fully prepared room, all meals, all programs, private consults. Beth Misner drove her cancer into remission using nothing but “energy medicine”. In March 2017 she was diagnosed with a 5cm tumour in her right breast. Her right armpit lymph nodes were also inflamed and full of cancerous cells. As reported by Dr Dawson Church, Phd, three areas of concern were also discovered in her right lung. Her doctors at the famous cancer clinic MD Anderson in Houston wanted to start Radiation immediately. But Beth wasn’t sure. And ultimately she chose to address her cancer differently instead. With Dr Dawson’s support she commenced intensive QiGong, Energy treatments, Diet change, Stress Reduction Techniques, Special Meditations and EFT. Naturally, it wasn’t just any diet change; nor just any kind of meditation or mindfulness. By May, after just 2 months, the tumour had shrunk from 5cm to just 1.4cms. And her lymph glands were completely clear. She continued her regime and later blood-work showed no trace at all of cancer. PLEASE GIVE/SHARE THIS INFORMATION WITH THEM. Les Dyer has been helping people with serious illness for almost 40 years now. Naturally, everyone is different; and no-one can make any promises of healing. But you CAN give yourself and your body the BEST options for positive change. First Weekend of March and first weekend in April we will be offering a similar program to that used by Beth. The full Workshop, private room and all meals are just $360. 3pm Friday (arrival after 1pm) – finishes 2pm Sunday. Private on-going support, if required. The chance to dramatically improve your healing process. If this program interests you, please email us for more details.